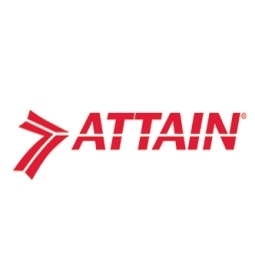 Attain, LLC, a leading management, technology, and strategy consulting firm, today announced that the Defense Information Systems Agency (DISA) has awarded the firm a contract with its Compartmented Enterprise Services Organization (CESO) Program Management Office (PMO). Valued at $67.4 M over five years, the project enhances mission-essential services across the National Security Landscape, including the Department of Defense (DoD), the intelligence community, and the civilian government. Under the CESO PMO, Attain will assist in the development and deployment of Secure Web Services (SWS), providing systems engineering and technical assistance for cloud migration, cyber security engineering, and web services. In addition, the company will provide product management, enterprise architecture, agile and DevSecOps consulting and coaching, asset and logistics management and acquisitions, and financial management support. "It is a privilege to support DISA's vision to be the trusted provider to connect and protect the warfighter in cyberspace," shared Attain President and COO, Manish Agarwal. "We look forward to leveraging Attain's deep expertise in cyber security, cloud migration, agile, and DevSecOps, coupled with our CMMI-DEV ML5 credentials, to support DISA in creating lasting value for the agency and ensuring the protection of our nation's citizens and most vital assets."